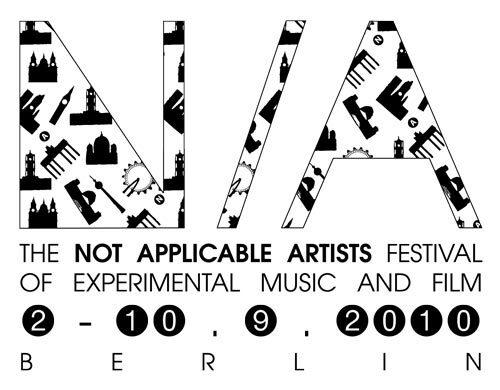 The London/Berlin based Not Applicable Artists team is going to invade some of Berlin’s most notorious improv and experimental hotspots, in this series of events dealing with cinema, software quests and of course an abundance of adventurous, risky, razor-edged, cliff-hanging, live music. Follow us during this nine day tour de force around town, which will finish with a big party at one of Berlin’s most historical underground landmarks, the Eschschloraque. An evening of large scale improvisation curated by Anna Kaluza featuring Axiom for improvising ensemble by Isambard Khroustaliov and several other directed and non-directed pieces by the ensemble.